‘Fat Free’ Seasonal Treat? Have I Got a Deal For You! So, how was your Thanksgiving? A little too much mashed potatoes and gravy? Are you wearing that third piece of pumpkin pie? Not to fret. Here’s a seasonal treat that’s not only “fat free,” it’s $-free, too! 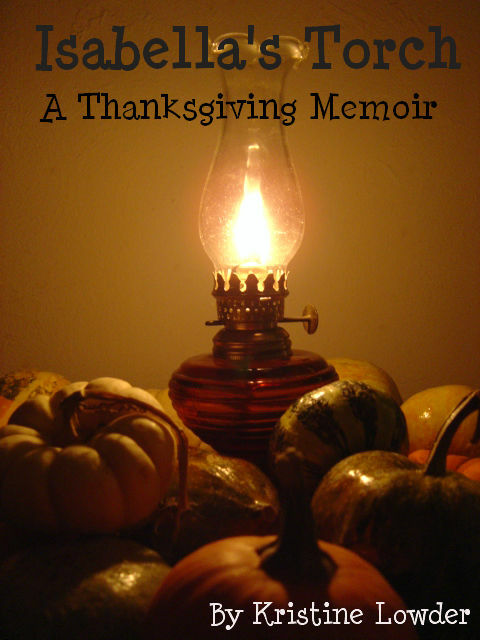 Download your FREE copy of my micro-memoir, Isabella’s Torch: A Thanksgiving Memoir. Grab your FREE copy of Isabella’s Torch today! Consider it my thanks to you for reading! Why not make it a two-for? Sign up for my FREE newsletter at the same time. Thanks for reading and stay tuned! A review of Akeldama, my historical novel set in 1st century Palestine, is featured at The New Book Review. See you on the trail! I may occasionally receive a complimentary copy of a book from an author or publisher requesting a review. However, I do not receive any monetary compensation for writing book reviews.